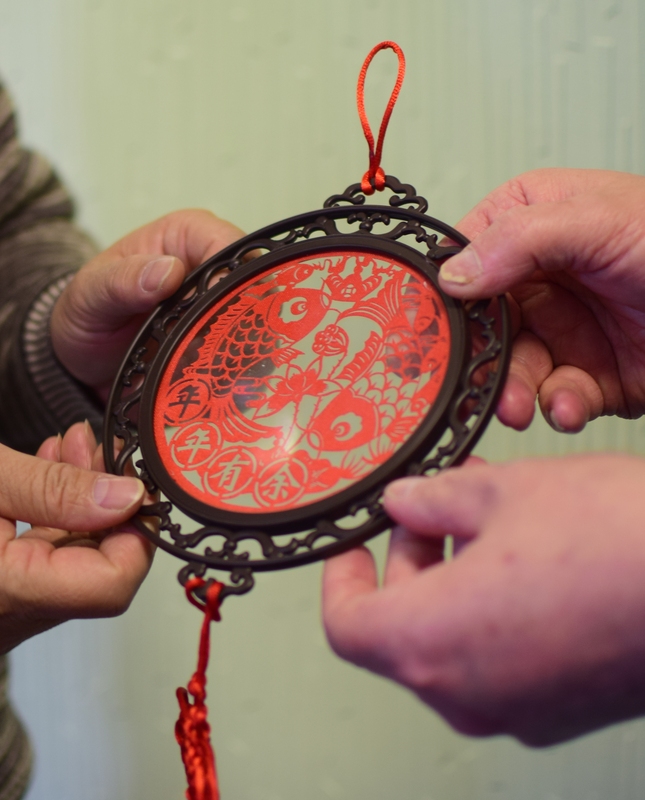 This last week we hosted 10 Chinese Principals, two interpreters and a facilitator from the National College and University of Nottingham, International team. I would be interested what other SLT, Heads and teachers make of these sorts of visits. All the way from Guangdong they arrived to spend about a month in England with some tourism and much work together on leadership and five days of school visits in three schools, one of these was two days with us. For me one week into headship is was a genuine privilege to show the school and work out how to do that. In fact as a deputy I always considered it an honour if anyone wanted to come and visit the school, we have had other overseas visitors but of course other school teams, business people and even the odd MP and councillor. I have also enjoyed my own visits to other schools – after all we are all lifelong learners. They started with a tour of school accompanied by 6 ‘little people’ from school council in pairs with a translator and 3 adults – I was so proud of our Y8 children who returned dutifully with the visitors spot on time, and with big smiles – they had enjoyed showing off their school and answering questions. 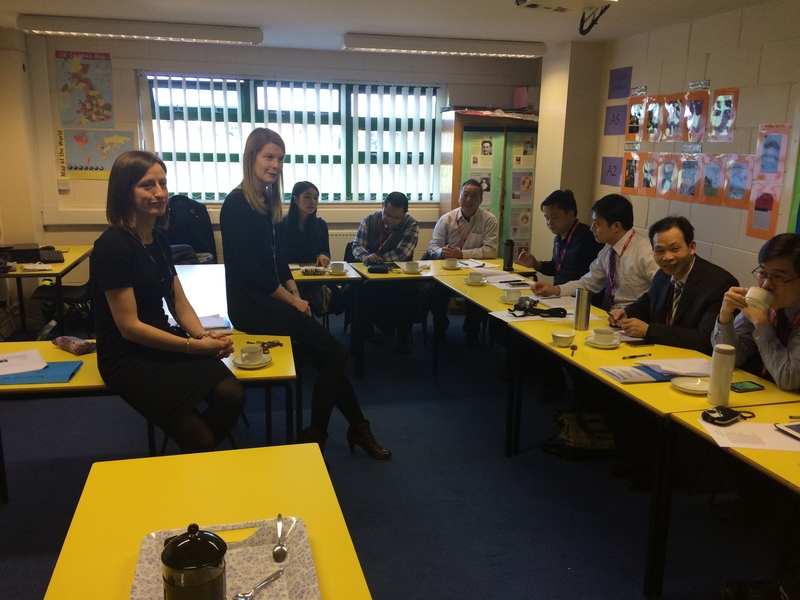 They then observed lessons in a number of subjects, frankly ones that can manage 10 visitors plus two interpreters plus two of our own mandarin speaker helpers ( who were wonderful – aren’t children jus so able to rise to the occasion). I also arranged it to be Maths and Science (my prejudice, we do these quite well) and also creative areas: Design and Art and also Modern Languages (which we also do well!) Colleagues were very accommodating in fact so were their departments, it’s not really easy being observed as visitors come around, chat with you and children and take a few photos in fact a lot of photos. They brought gifts,, some beautiful China cups through to beautiful handmade pennants and even pupils work. Which meant more photos. This showed me how much they honoured the occasion and I was particularly struck when I introduced a colleague who had taught for 30 years they applauded very warmly in their acknowledgment for him as a teacher, clearly for them he had to be recognised and very well honoured, such respect I think even he was surprised. I think we can learn something there. They get moved around their provinces, they don’t have a jobs market. They work hard and they retire at 55 on full pay, pay isn’t so high as here by a long way ( equivalent to about £20,000 -£25,000) but they are held in great respect in their communities and by others. They have very high status and are well looked after’ they told me, for example if they find themselves ill. Teachers teach about half a week timetable the rest dedicated to marking and prep. Wow! One Principal commented on the support given to the children in school. He liked our work with SEND, EAL pupils and with any behavioural issues one to one. He felt support was much stronger. He said our management was ‘stronger and straightforward’ particularly with ‘ naughty’ children. This surprised me but there appear to be pressures on them ( much like here) from all sorts of angles too. Their worries matched some of ours, they were worried about inclusion, they were worried about some patterns in behaviour and wondered if we had rare occasion when parents were not so supportive! They quizzed me long about accountability, who was I responsible to? Well my list was long ( children/parents/staff/governors Diocese, Ofsted) until essentially it rests with governors. I think they felt we were under more pressure than them overall , but I don’t know. Their schools are often very large , our visitor’s schools ranged from 3000 to about 5000 pupils. One with 4000 pupils, said our professionalism was different and he found the atmosphere in our lessons alive and exciting. In essence they enjoyed those creative and practical activities we use in learning. They seemed to note we were looking out to engage all pupils in our lesson. He said the teaching was more practical and inspirational ” something we want to learn from” I was blown away by that. Some still kept asking me how we got our ethos into our pupils and had an extra hour with our assistant head who is head of RE ( worth a reminder we are an RC school ). They are Principals and they have ‘heads’ under them responsible for progress etc too but I couldn’t tell if Pastoral work was part of the core job. They also asked us about multicultural aspects which was of interest, in a City like Nottingham lots of our pupils don’t have English as first language of course, I think that made them think a little. I mentioned staff recruitment, they wondered how we hung onto out best teachers. In China one principal told me if he had 10 vacancies in his school there would likely be 800+ people to choose from. 1 Their honour, respect, and pride in their profession and in us too, shown to me and my colleagues as well as our children. It was almost tangible and amazing to watch their faces hanging on almost our every word. Here is a link to the story in our Local Newspaper Nottingham Post. Q1 What do you see as the value of such visits to your school? Q2 Can we learn from other cultures as much as we can learn from schools in the UK, be they similar or with better outcomes? Q3 Do we have more in common than what we have as differences? Proverbs 29:18 Where there is no vision, the people perish: but whoever keeps the law, will be happy.